Do you encourage digging through the recycling at your house? How about the trash? Both are fair game here and if they’re not at your house you may change your mind soon. 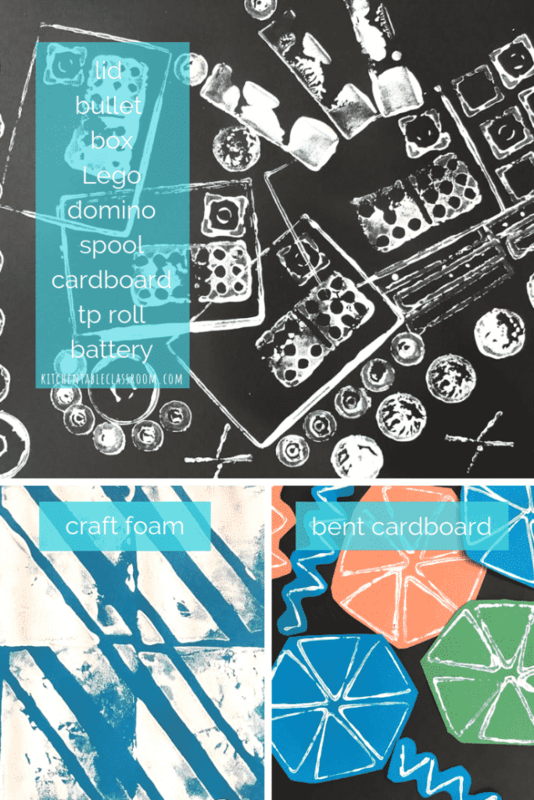 Found object printmaking literally turns your trash into treasure. I’ve got some ideas here to get you started but that’s all they are, ideas. You can literally make a print of anything you’re willing to coat in paint and make a mark with. 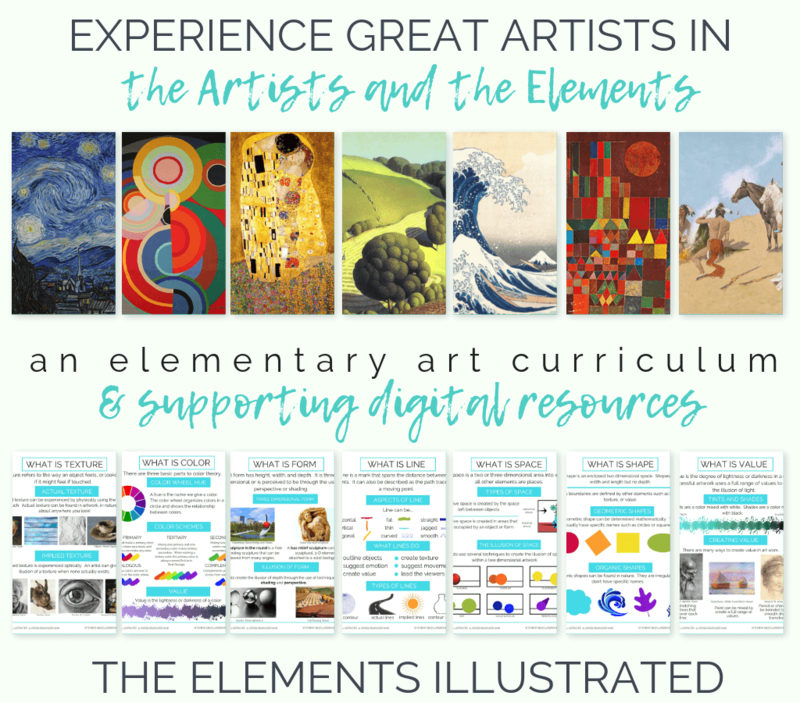 Once your kiddos start thinking like a printmaker they won’t wanna’ stop! If you’re working with a budget (and who’s not) save that budget for another project. Good news, right? 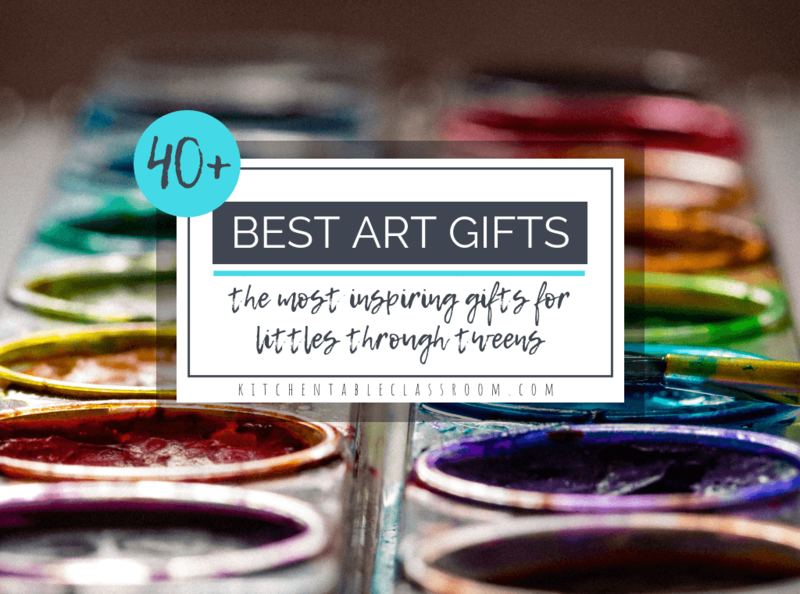 All you need are some treasures, paint, and paper. We used craft acrylic (like this set.) We use this kind of craft acrylic paint for all kinds of things. It’s cheap and comes in awesome colors. However, it is not washable so you have to know your crowd. Washable tempera would totally work too! I’m a fan of using sturdy paper for kids art work. This Pacon Tru Ray paper is my favorite. It’s inexpensive and super bright. Sturdy paper means less wrinkles, no holes, and a lower frustration level. Totally worth it, right? Use what is available. 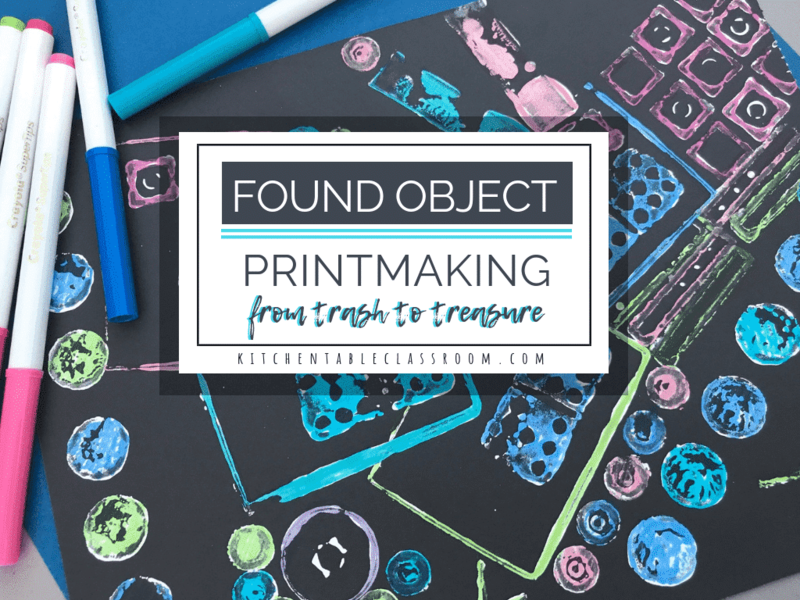 Printing on bright, colorful paper adds instant interest to this found object printmaking process. If you only have copy weight paper by all means, print on it. We made our prints with craft acrylic paint. It’s cheap and comes in a million awesome colors. 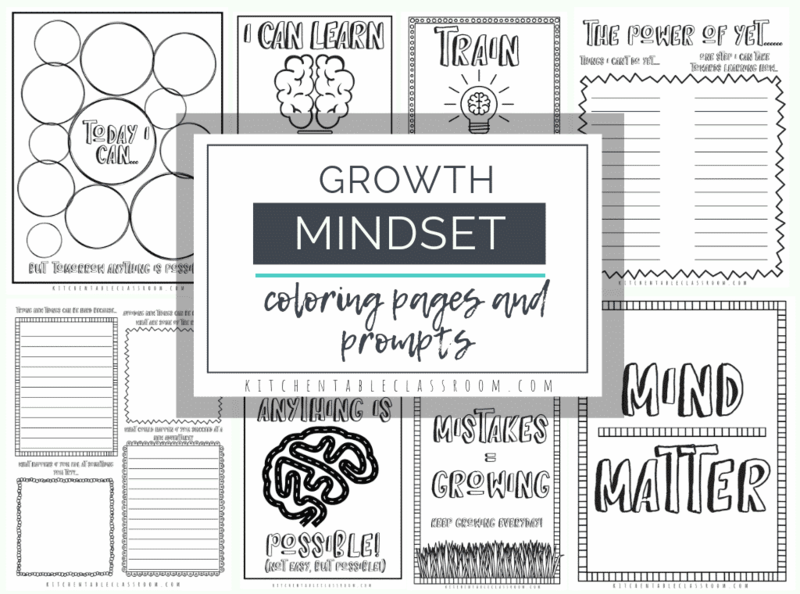 (This set is my favorite and will set you up for projects to come!) However, it is not completely washable. So, know your kids and use what is best. 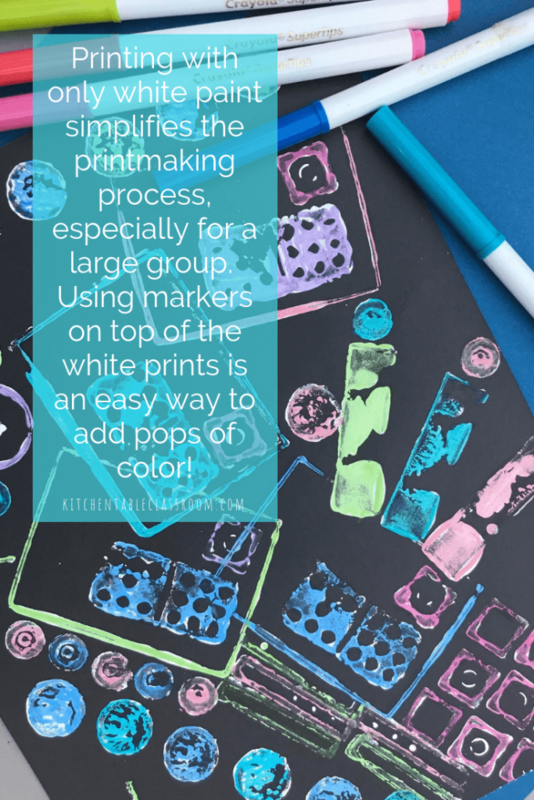 You could easily use washable tempera for this project! 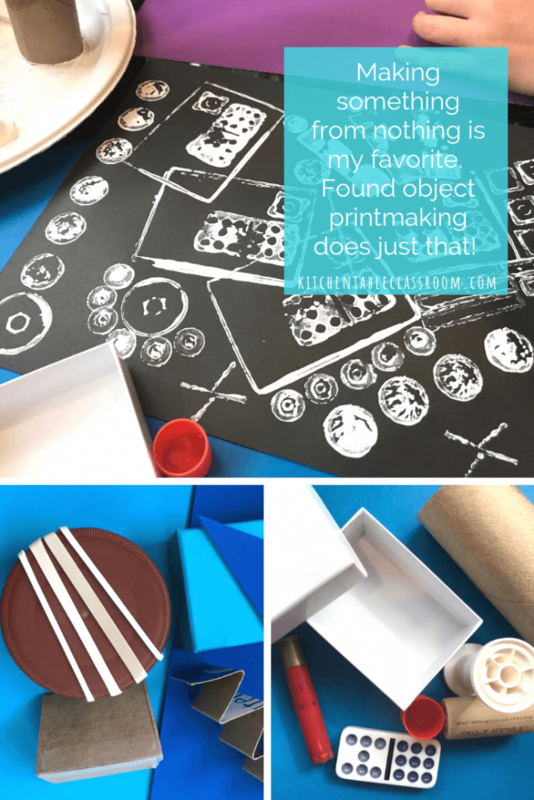 This found object printmaking project is the perfect kind of process to set up and leave your kids to it. There is not “end game” or specific outcome. And there certainly isn’t a big financial investment in materials. 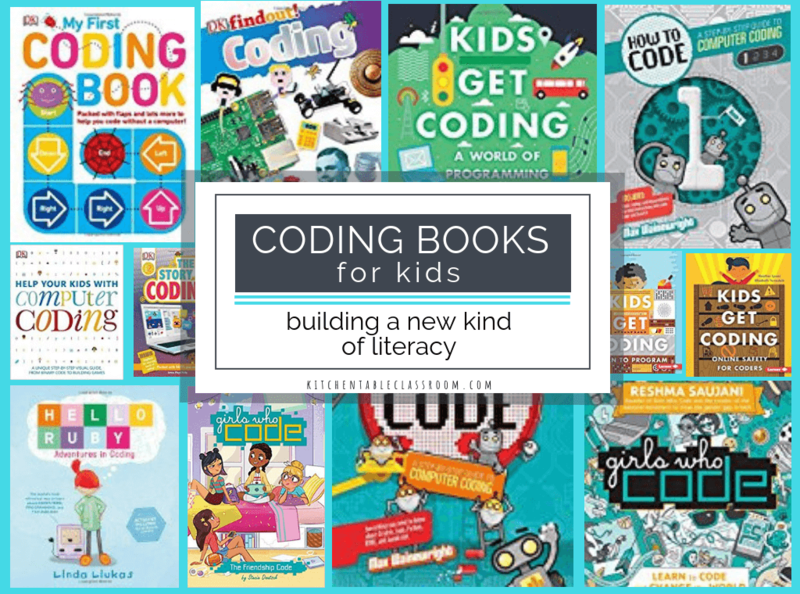 Simply provide some materials and a place to create and set your kiddos free. 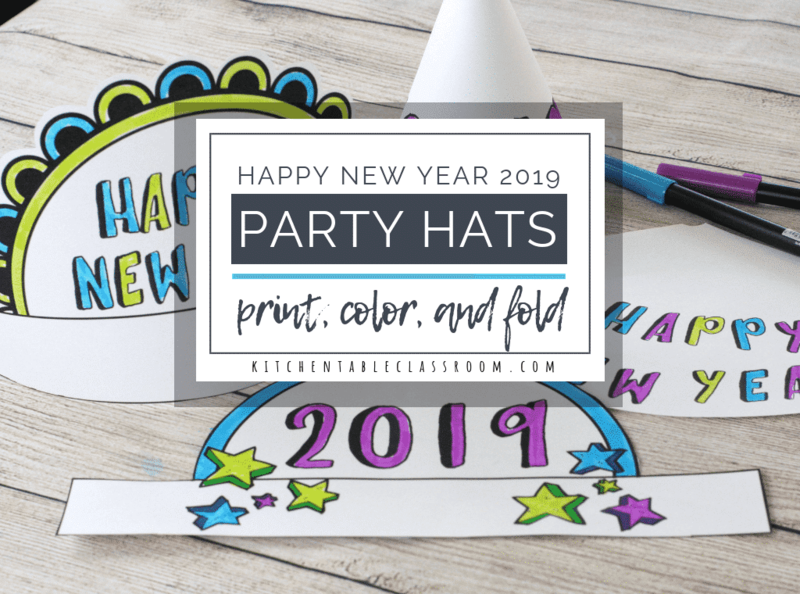 A paper plate spread with a thin layer of paint is all you need.If you have newspaper or a large roll of paper spread it out now so your kids can create without worrying about the mess! 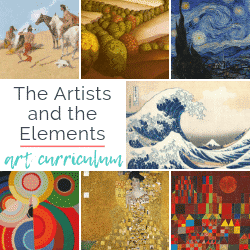 Printmaking is taking an object, pressing it down, and leaving an impression. When doing this with kids their instinct is often to take said object, dip it in paint and slide it across the paper as if it is a paintbrush. I encourage them to see what marks different objects make but don’t stop the paintbrush action, either. It’s art. Even though they may be very little people they have their own ideas and inspiration. Encourage kids to see little shapes as part of bigger shapes. Repeat shapes and see what is created. 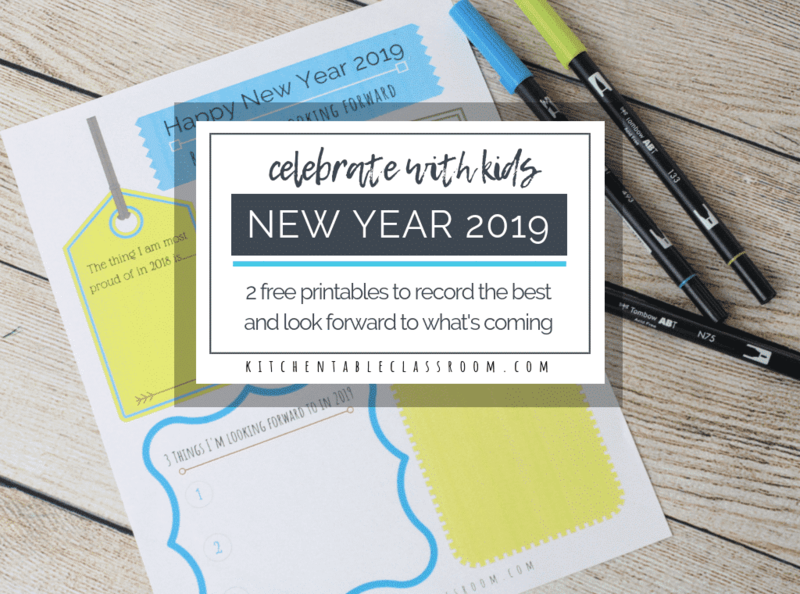 Paper is cheap; this is a great time to let kids work big or use multiple papers. Try cutting printed shapes out and assembling them into a collage. The possibilities are endless. I love providing only white paint for this kind of printmaking., It’s a bold graphic effect that can that be colored on top of later with markers, colored pencil, or oil pastel. If you’re working with a lot of kids at once using just one color of paint really simplifies things. Providing lots of colors can be fun too if you’re feeling brave! 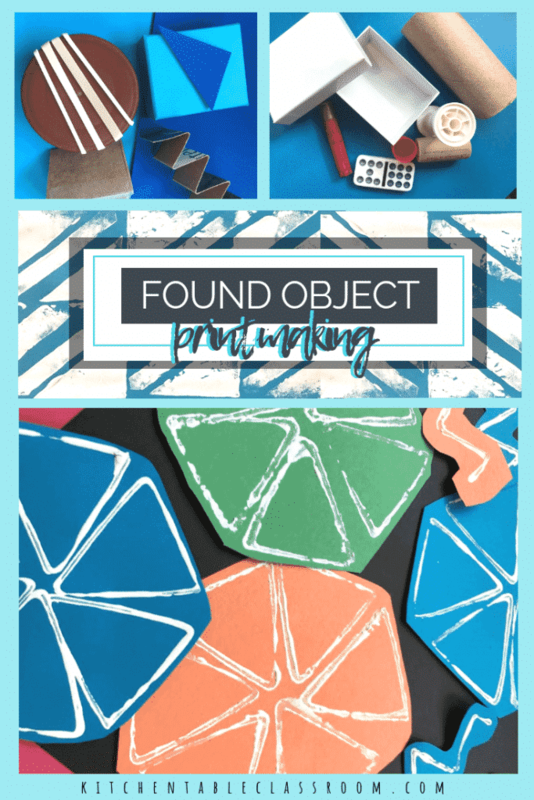 If you enjoyed this found object printmaking project please share!